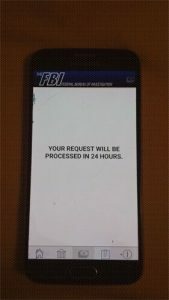 Please calm down when you get this “The Police or FBI Lock Screen” virus and then find an effective way to get rid of it. 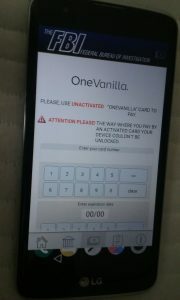 Once your device gets infected by this virus, your device will be locked and you may even have no ability to turn your device off. You could only take out the battery to power it down. This virus has been distributed on the Internet for a long time. 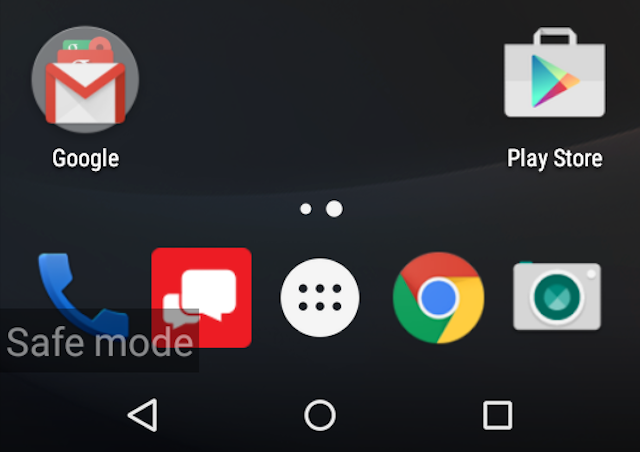 It is common that device gets infected by this virus. And the virus may install some malicious programs to the infected device to get personal data. Once the remote hacker gets the personal data, they may sell them out then get money. Thus it will be a big trouble for you. So it is important for you to get this virus off your device. 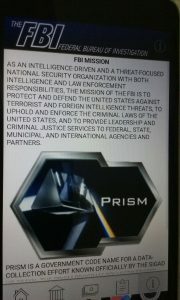 Why do FBI Cyber Crime use Ukash? I’ve paid on it, can I get my money back? Ukash is known to be the most common way to pay for this cyber police. When you pay for something online through legit processors, it is possible that the payment can still be canceled. But it is impossible when you are paying via this Ukash. Just like the famous FBI Moneypak virus, many victims still look for a way to get their money back. All I can suggest is that you should try to contact with the bank to see if there’s any chance to cancel this payment. Otherwise, you should renew the information of your credit card and any cards that you use to pay so that you won’t be suffering from more damages. Then please try to get rid of this Interpol Virus Scam as soon as possible. In order to do that, manual removal is the most appropriate way to completely uninstall this program from your devicec. There isn’t a perfect program to deal with it successfully. And with manual removal process, you don’t have to reinstall Windows which takes much longer time and may even cause damages to hard disks due to frequently reinstalling. 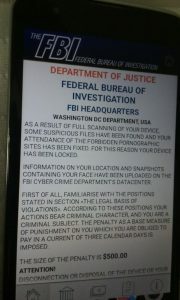 “The Police or FBI Lock Screen” can decorate it with a very misleading appearance. The accurate information of victims like IP address, Country and city can be listed on the virus page. Also, hackers can list the articles of laws on the page to threaten people more. No one wants to get into trouble with the police. When seeing the right information on the page, some victims can believe it that it is a genuine message and pay the money to it. However, this message is a tool which can help hackers collect money. This message cannot only help hackers to collect illegal benefits, it can also block all the access on the infected devices. People cannot bypass or exit this fake message, some victims cannot even power off their devices. No matter how many times people restart the infected devices, this virus can pop up as soon as the system loaded. There are many ways for hackers to spread this virus so it can be really hard for users to prevent this ransomeware from coming. Suggestion: To follow removal guide to get out of fake FBI message that mentioned above, a quite level of knowledge is needed. Otherwise, the wrong operating on the safe mode can make the situation even worse. Please make sure you are capable of dealing with this. If not, please Contact online experts for help now!